Although Los Angeles Mayor Eric Garcetti warnedPresident-elect Trump that defunding Sanctuary Cities would cause “social, economic and security problems,” Sanctuary California could face bankruptcy if the Trump administration follows through on threats to pull billions in federal funding. There are 300 “Sanctuary Cities” and counties around the United States that have policies in place blocking local law enforcement from complying with U.S. Immigration and Customs Enforcement (ICE) detainer requests for immigration holds. An ICE detainer is a written request for a local jail or other law enforcement agency to detain an individual for an additional 48 hours (excluding weekends and holidays) after his or her release date, in order to provide ICE agents extra time to decide whether to take the individual into federal custody for removal purposes. The Department of Justice’s Inspector General (IG) issued a memorandum in August that advised that sanctuary city practices violate federal law. The IG finding empowers Sen. Jeff Sessions (R-AL), if confirmed as U.S. Attorney General, to strip sanctuary cities — including New York, Los Angeles, Chicago, and Washington, D.C. — of certain federal law enforcement grants. He can also seek court orders to strip federal grants from any government entities refusing to comply with U.S. laws. Mayor Garcetti and other big city Democrat mayors have defiantly said after Trump’s election that despite the federal government providing an average of 25 percent of state and local government general revenues, they still will not comply with ICE holds. The reason local government can afford to flout the incoming Trump administration without much fear,is that 95 percent of the $620 billion in federal intergovernmental transfers are block-granted directly to states, who then make transfers to their cities and counties. Direct federal block grants to local government amount to only about $30 billion, and half of that is untouchable as public health and Homeland Security funds. But there are four Democrat-controlled “Sanctuary States” that are also defying federal law by refusing to honor ICE detainer requests for immigration holds. Connecticut, New Mexico, and Colorado receive relatively small amounts of federal dollars due to low population. But the State of California, with the largest population, is the top receiver of federal funds in the nation. Of California’s $252.5 billion in total estimated government spending for fiscal year 2015, the federal government provided $93.6 billion, or 37 percent. That works out to a stunning $6,451 for every man, woman and child in the state. The breakdown of California’s federal funding, by department, includes: 52 percent for Health and Human Services (Medicaid); an average of 25 percent of all state and local government’ general revenues for Labor and Workforce Development, 14 percent for Education; 6 percent for Transportation; 2 percent for Legislative, Judicial and Executive; and 1 percent for General Government, which includes Natural Resources, Environmental Protection, Corrections and Rehabilitation, State and Consumer Services. 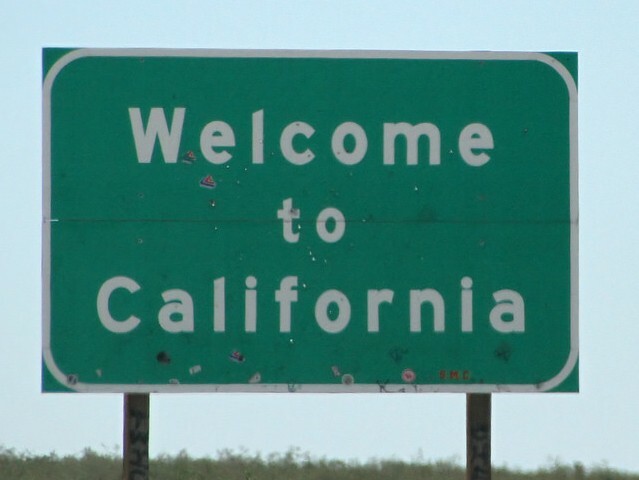 Breitbart News reported in May that Moody’s Global Credit Research fiscal stress-tests found that California was already the least prepared large state to weather the next recession. The credit rating service followed up in August with a warning to municipal bondholders that the plummeting financial condition of many California counties, cities, school districts and other agencies would soon result in large numbers of municipal bankruptcy filings. The only time in the last 40 years California that suffered a 3.7 percent or more of GDP decline was the 4.4 percent plunge in 2009 during the Great Recession. Given the state’s precarious financial condition, any cut-off of federal funds by the Trump Administration could bankrupt California and many of the state’s local government entities.